Abstract—This paper presents a novel approach to cluster Fuzzy numbers using hierarchical method to be called (FHCA). In this approach a Dendrogram is drawn over fuzzy numbers until we could cluster fuzzy numbers using hierarchical cluster tree with inconsistency coefficient or other useful measures. All the similar previous methods extended FCM (Fuzzy Clustering Method) to support fuzzy data. On contrary, the present work is based on hierarchical method, i.e., we extended the hierarchical clustering algorithm to cluster fuzzy data for the first time. Finally this approach has been compared with some of the newly presented methods in the literature. The major advantage of the algorithm is its fault tolerance against noisy samples. Index Terms—Fuzzy data, Hierarchical clustering algorithm, Fuzzy dendrogram, Dissimilarity measure. Mohammad GhasemiGol is with the Department of Computer Engineering, Ferdowsi University of Mashhad (FUM), Mashhad, Iran (phone: +98-915-9620831; fax: +98-561-4434070; e-mail: ghasemigol@wali.um.ac.ir). Hadi Sadoghi Yazdi is with the Department of Computer Engineering, Ferdowsi University of Mashhad (FUM), Mashhad, Iran (phone: +98-915-1738312; e-mail: h-sadoghi@um.ac.ir). Reza Monsefi is with the Department of Computer Engineering, Ferdowsi University of Mashhad (FUM), Mashhad, Iran (phone: +98-915-1135763; e-mail: rmonsefi@um.ac.ir). 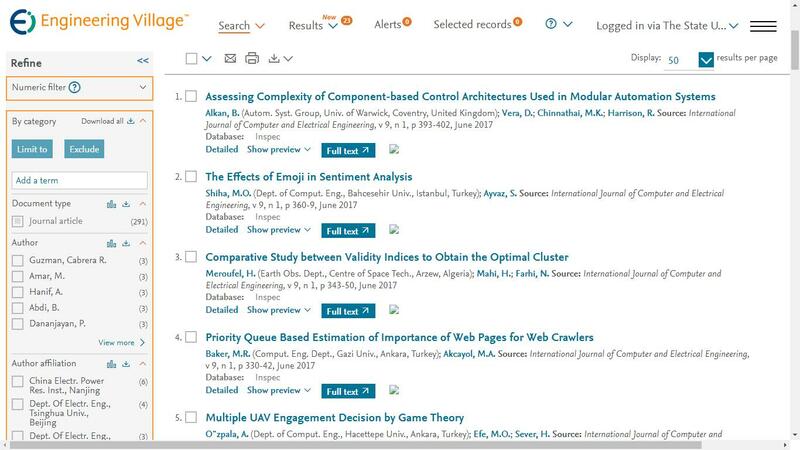 Cite: Mohammad GhasemiGol, Hadi Sadoghi Yazdi and Reza Monsefi, "A New Hierarchical Clustering Algorithm on Fuzzy Data (FHCA)," International Journal of Computer and Electrical Engineering vol. 2, no. 1, pp. 134-140, 2010.